Whenever a new technology is unveiled, or a new product is launched, within 6 months, imitations can be easily found on China markets, selling at a price of 1/5 – 1/20 of its original price. Bladeless fan has no luck to have exception either! 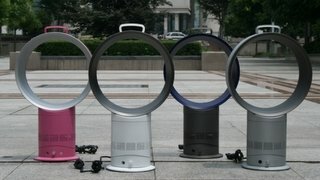 Dyson introduced its bladeless fan in October 2009, then some China factories bought a few Dyson's fans, disassemble them, studied them... then copies were available on the markets here in April, 2010. This is a most common one at the market here. It’s pretty noisy, not that sleek-looking. You can easily find imperfections here and there just from outside. 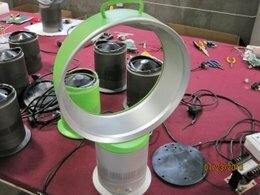 But as the factories are keep improving their workmanship and modifying the multiplier, I believe there will be more sleek-looking and less-noisy fans to be put on the market soon. 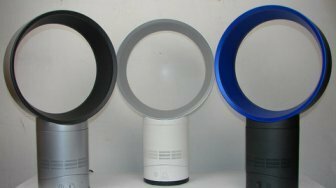 The current wholesale price for this fan is about $50.00-$60.00 USD. Above is a one they called “3-generation fan”. They improve the original one by adding a handle at the top for easier handling and adding a wider base for better balance. 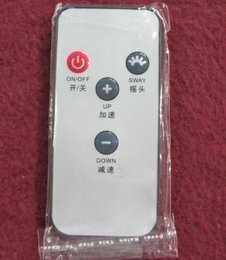 This fan also goes with a remote control. This is a big step for user experience. The current wholesale price for this fan is about $65.00-$75.00 USD. This one is very much like the first one, but of better workmanship and more wind output. 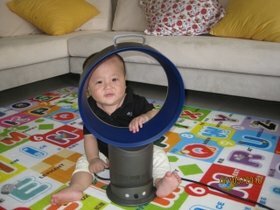 The current wholesale price for this fan is also about $65.00-$75.00 USD. 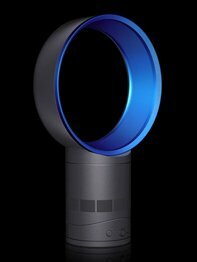 Most fans on the market now are pretty noisy, compared with the original Dyson fans. This is because they are still improving their technology for multiplier. They don’t have Dyson’s multiplier as Dyson’s multiplier is patented. The overall workmanship still needs improving, as I said above - you can easily see imperfections from outside. This is a very new product; the factories are still in the process of applying certificates like CE, RoHS, UL. Almost all the factories don't have certificates for these fans. Where to find China bladeless fan? 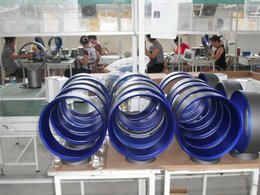 Most of the bladeless fans are produced in Jinhua (near Yiwu), Ningbo, and Shenzhen now. >> Read more about bladeless fan. >> Back to Yiwu market guide home page from China bladeless fan.